A Prevention Centre project is developing an online one-stop shop for employers and women as part of an approach to use health promotion to reduce the burden of obesity both before and during pregnancy. 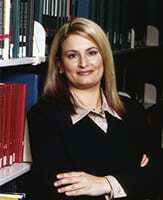 Project co-lead Professor Helen Skouteris from Monash University said the online portal would target health promotion in the workplace as a way of reaching women in their childbearing years. “Working women of reproductive age, who are yet to have children, planning to have a child, or pregnant, tell us that they want support, resources, and time from their employers to be able to fit a healthy lifestyle into their busy working lives” Professor Skouteris said. The workplace has been identified by the World Health Organization as a key setting for improving employee wellbeing, and there is a strong impetus for workplaces to improve gender equity, increase productivity and reduce absenteeism. But even though most employers want to support their employees, they have highlighted that this will involve change across multiple levels at the workplace, Professor Skouteris said. The Health in Preconception and Pregnancy and Postpartum (HiPPP) Portal will provide women with information about lifestyle health before, during and after pregnancy. Dr Briony Hill, a NHMRC Early Career Fellow in Skouteris’ team who is leading this project, said the portal would be developed using a co-design, participatory methodology, taking into account views of women so that it was relevant and meaningful for users. “We need to work with women themselves, as well as all the key stakeholders within workplace settings, to ensure that we remove as many barriers as possible,” Dr Hill said. The project team has completed data gathering to create a profile of preconception women, including demographics, psychosocial wellbeing, lifestyle behaviours, intentions for future pregnancy, age at first pregnancy, years between pregnancies and preconception BMI. They are using epidemiological cohort data from the Australian Longitudinal Study of Women’s Health to inform the development of preconception health promotion strategies. They hosted a forum last year on health in preconception and pregnancy at the Monash University Prato Campus in Italy, bringing together a collaboration of world leaders in preconception and antenatal health to form a ‘Global HiPP Alliance’ to jointly generate research and translation priorities for preconception and pregnancy care to prevent maternal obesity. The project has recruited Seonad Madden, a PhD student from University of Tasmania (UTAS), who is also doing her thesis in this area. Seonad is being supervised by Professor Andrew Hills and Dr Kiran Ahuja from UTAS and Professor Skouteris and Dr Hill from Monash University. Listen to project co-lead Professor Helena Teede discuss maternal and child obesity in our podcast.